Trump has bragged about incorporating tax evasion as a fundamental aspect of his business strategy, according to a report from USA TODAY. The man running to be president of the United States has admitted to doing anything and everything he can to not pay his fair share, including waiting for NY state to file warrants against him. Trump’s tactic is to dispute the value of his properties, undercutting them by up to 90% of what they are actually worth. Residents are outraged over this, and the entire country—including his legion of blind supporters—should be too. For years Trump has avoided the most basic requirement the government demands of its citizens— to pay taxes. When asked about his tax returns or his tax rate, he responds with a defiant, “none of your business” – however, it is very much our business. The nation deserves to know how much Trump has cheated us out of, such as funding for things like education or infrastructure, by not paying tax. In Briarwood, NY, for instance, Trump has claimed a 140-acre golf course is worth 1.4 million, as opposed to its real value of 15.1 million. With this declaration, Trump cheated the Westchester community out of the $471,000 they should have collected for local schools, instead only paying $47,000. Local residents, that Trump has blatantly robbed from, are up in arms over his tactic of declaring property is worth a fraction of what it should be to avoid paying his fair share of taxes. The property in Briarcliff is among 20 other properties which Trump has valued at “more than $50 million,” which accounts for $1 billion of his $10 billion net worth. Someone with this level of money should be completely banned from bringing property value into dispute; he should be forced to pay not only what he owes, but more than that. He should not hide from this responsibility with lawyers and complaints, but be glad to pay it. The greed Trump has demonstrated is disgusting and inexcusable—there is no way America can choose this man to represent us with a clear conscious. – Trump Mortgage owes federal taxes from 2006 and 2007 totaling more than $4,800, according to two federal tax liens filed in New York. – Trump’s businesses have sued the New York City Tax Commission 55 times from the mid-1990s through 2011, disputing the city’s property assessment values on everything from apartment complexes once owned by his father to his core buildings and companies. – Trump-related companies have become embroiled in disputes over sales taxes owed to New York state and New York City. 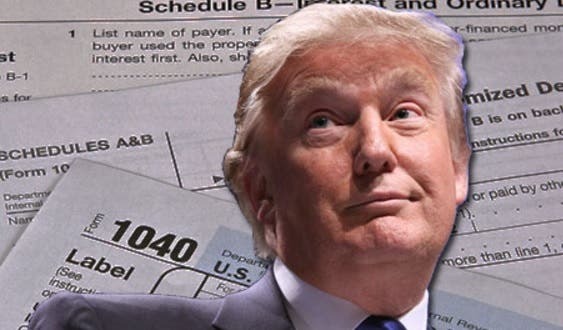 Tax warrants on file in New York County court found that over the past 27 years, Trump entities owed about $300,000 in back taxes, which were eventually paid. – The battles can save Trump millions of dollars. In 2006, Trump won a ruling on his 58-story headquarters at Trump Tower in Midtown Manhattan. It was the sixth time since 1999 that his appeals against the Tax Commission reached the courtroom, records show. 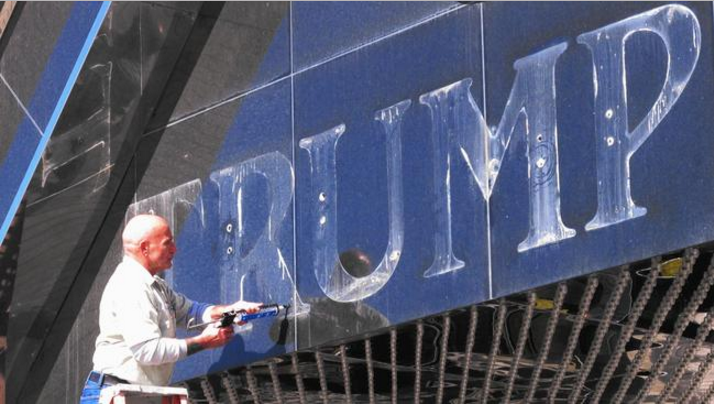 The net result was about a 10% reduction over 10 years on the building — worth about $3 million to Trump. This also goes to show Trump’s 1% mentality. In spite of having the money to buy and renovate incredible properties, he will do anything he can to hoard these profits. It is a grotesque display of greed, one that we cannot let go unchecked. The systems that Trump takes advantage of have been built in for the mega-wealthy; there is no alternative to paying taxes if you make under a million dollars annually. Trump has hustled the system at the expense of every citizen. As president, he will not change this behavior. His plans are completely unclear; the only thing that’s certain is he will use his new role to get away with even more corrupt dealings. As he’s ambiguously stated as early as last week, he is “willing to pay more” taxes personally (though he did not explicitly mention his businesses) and that “taxes for the rich will go up somewhat” under his presidency—you can’t get more vague than that. It’s far past time that Trump and the rest of his oligarch buddies paid their fair share.